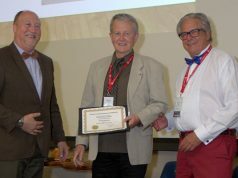 Forsyth, M. and Greg Dickson. (2014). 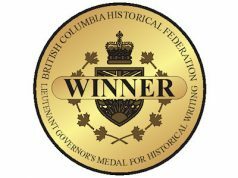 From the West Coast to the Western Front: British Columbians and the Great War. Madeira Park, BC: Harbour Publishing. 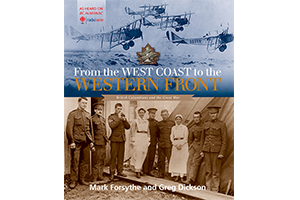 It has often been observed that the First World War jolted Canada into nationhood, and as Mark Forsythe and Greg Dickson show in this compelling book, no province participated more eagerly in that transformation or felt the aftershock more harshly than British Columbia. In From the West Coast to the Western Front, Forsythe, host of CBC Radio’s mid-day show BC Almanac, marks the 100th anniversary of World War I by teaming with historian Greg Dickson and the ever resourceful BC Almanac audience to compile a sweeping portrayal of that crucial chapter of BC history.